Children’s values its medical professionals. From training and continuing education opportunities to online networks and resources, we strive to support you with tools, and information and resources that enhance your knowledge and productivity. Find order forms and resources for transfers, referrals and more. Find resources for clinical nurses and school nurses across Georgia. Apply for training opportunities at one of the nation's largest pediatric hospitals. Find useful resources and clinical trials currently under way at Children's. Learn more about our clinically integrated network. Access useful information and connect with other Children's doctors. Get access to a free, secure, Web-based electronic health record system. Gain access to health records, secure messaging and online scheduling. Learn how Children’s is working to foster positive relationships between its medical staff and community physicians. 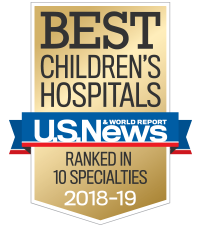 Join a team of top-rated physicians, and collaborate at some of the leading research and academic centers in the country. Get access to resources that support the personal and professional well-being of our physicians.